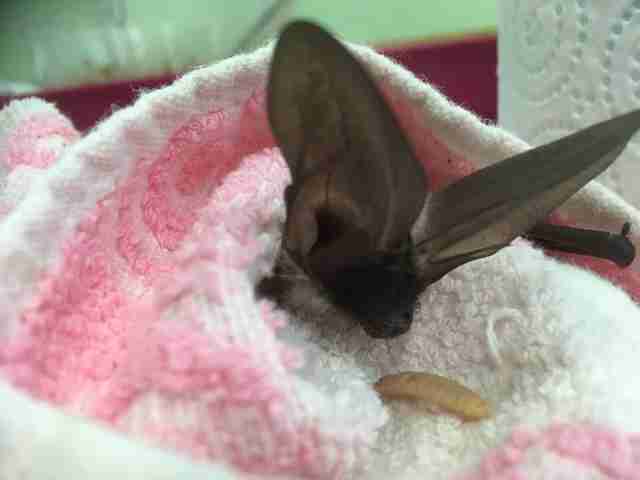 When a tiny baby bat was found alone on the ground, it seemed like it was already too late. 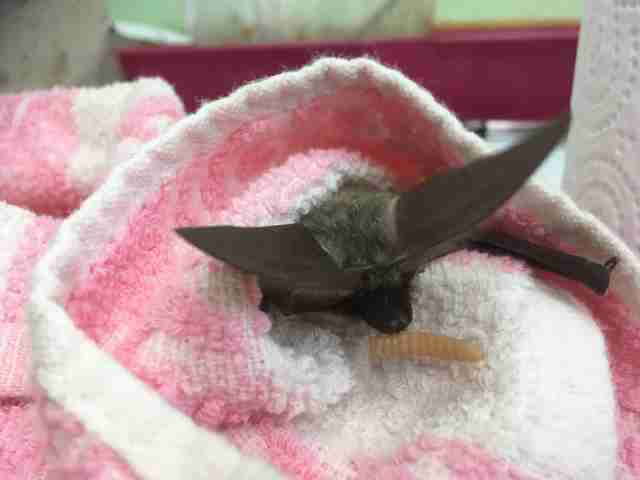 Rescuers were worried the little bat wasn’t going to make it, but she was rushed to the RSPCA anyway, where staffers immediately began dedicating hours to her care. The little bat, now named Merri, was underweight when she arrived at the RSPCA, and suffered from a really nasty foot injury. She was so young that in the wild, she still would have been dependent on her mother, meaning she definitely wouldn’t have survived if rescuers hadn’t stepped in. Long has been caring for Merri around the clock, giving her fluids every two hours, before graduating to feeding her three times a day as she began to get stronger. Everyone is astounded that the little bat has survived — but her survival isn’t the only thing that’s incredible about Merri’s rescue. 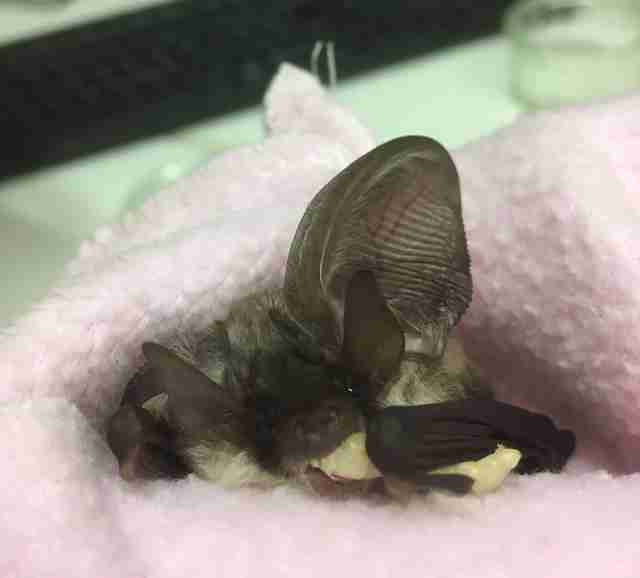 After examining her, staffers determined that Merri is most likely a grey long-eared bat, which is an incredibly rare animal — especially in England. 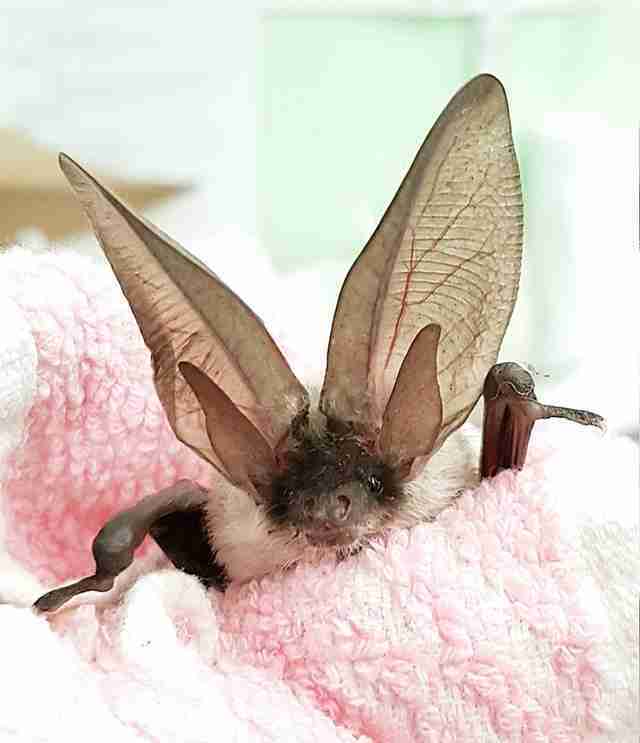 Very little is known about grey long-eared bats, and there are thought to be only around 1,000 of them in all of England, according to Long. Long is very excited to have one in her care, and is even more excited about the prospect of eventually releasing her back into the wild.